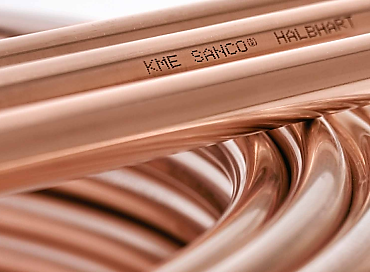 KME AG, one of the leading players in the European copper and copper alloy semifinished product industry, informs that it has reached an agreement with Zhejiang Hailiang Co., Ltd. for the sale of its brass rods business in Germany and Italy, as well as its tubes business in Germany and Spain. KME Group sells its brass rods and copper tube business to Chinese Hailiang Group. Hailiang is a leading Chinese player in the copper tubes and brass rods market with an international footprint in the US and wider Asia, but no presence in Europe until now. Zhejiang Hailiang is listed on the Shenzhen Stock Exchange. The strategic objective of KME Group is to refocus its portfolio on copper and copper alloy rolled products and special products, as announced. 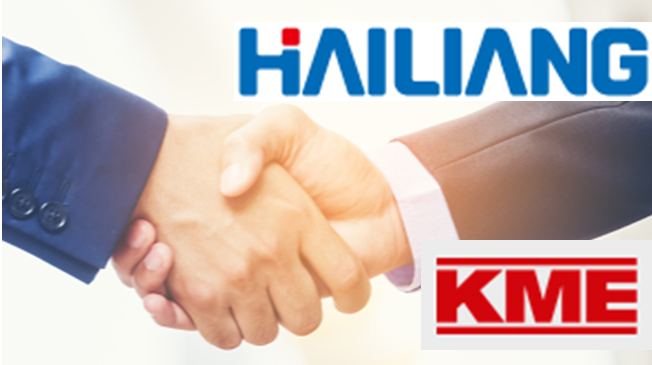 After the acquisition of MKM, which agreement has been signed on the 6th of July 2018 and the relevant closing is expected to be executed within the first quarter 2019, the present transaction with Hailiang pursues the reduction of portfolio and industrial complexity of KME Group, by decreasing the number of products and plants. This transaction attains the acceleration of the Group strategy execution. The Group companies involved in the transaction are KME Brass Germany GmbH, KME Brass Italy S.p.A., Kabelmetal Messing Beteiligungsgesellschaft mbh, KME Ibertubos S.A.U. and assets and liabilities related to the German tubes business owned by KME Germany GmbH and Co.KG. Hailiang has also made a binding offer for the acquisition of KME Brass France SAS, which pertains to the French brass rods business and has granted to KME a put option in this regard. KME is going to immediately start the consultation procedure with the relevant employee representatives’ bodies following receipt of this offer.